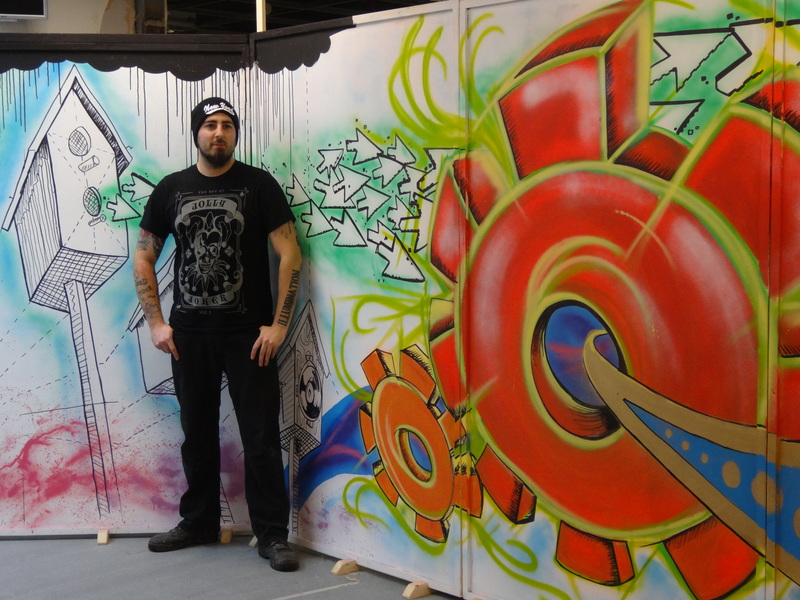 We are thrilled with our fantastic new art work by Dan Walls of Illumination Wall Art that we have commissioned to display during the exciting building work that is taking place at Greenfield Arts. Greenfield Arts is changing and we are transforming a number of our spaces to allow for more creative work to take place, enquiry based learning and to encourage more innovative use of new technologies. The art work will be on display until the end of January. We look forward to seeing what will be revealed behind the artwork in February! Building work has now started on a fantastic new creative space at Greenfield Arts. 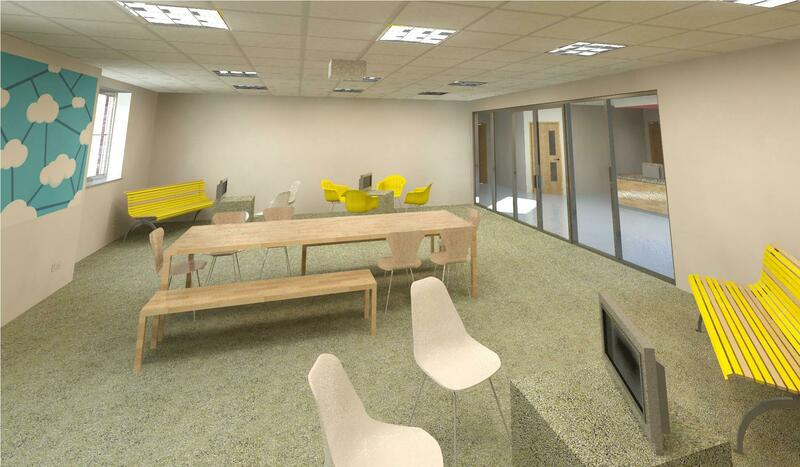 The work, which will see the layout of the centre change dramatically to create two new spaces for research and creativity in the centre, has been funded by Professor Sugata Mitra of Newcastle University as part of the TED award he won earlier this year. Greenfield Community College is one of two schools in the UK, alongside a number of areas in India who have been awarded funding to continue Professor Mitra’s “School in the Cloud” research. 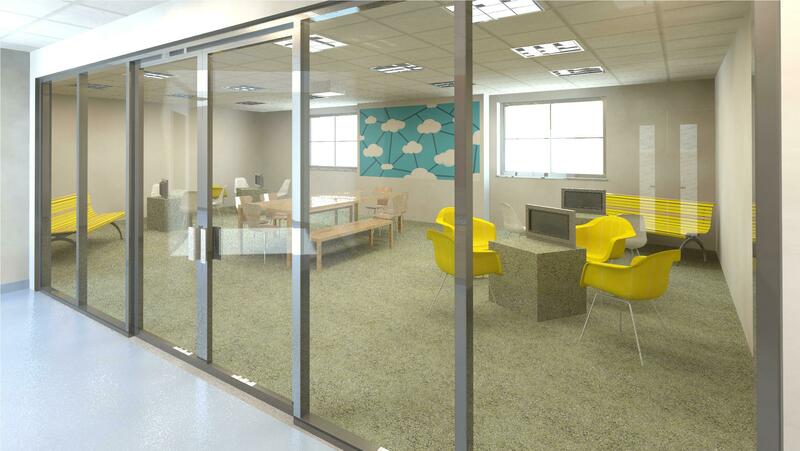 The new spaces will include “Room 13,” Greenfield’s own “School in the cloud” with IT and technology facilities in an indoor/outdoor themed space, providing a social atmosphere for students and the community to learn independently through an enquiry based approach. The space will be used by students and staff at Greenfield Community College for this research, as well being accessible to local primary schools, community partners and members of the community. A number of projects and activities have already been planned for the space, including a reading enquiry with Chilton Primary School, “Skype Granny” research with Newcastle University and more. In addition we have received funding from GAMP AAP to create “The Shed” as part of the “Equipped for Life” project, which will include a range of specialist design and print equipment to be used by young people and the community to develop enterprise and employability skills. We would like to thank GAMP AAP for their support and contribution to these exciting changes. 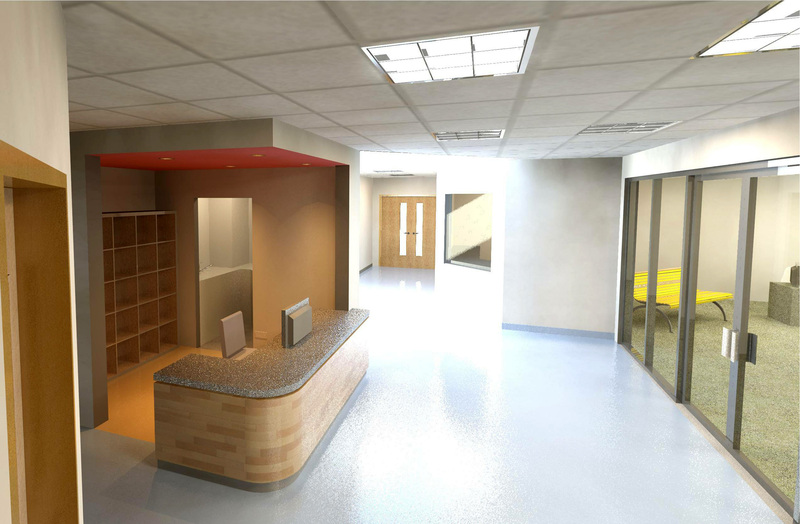 The building work is being undertaken by Burnip Property Solutions following discussions with Design by Kiosk, and is expected to continue through January 2014. Greenfield Arts will remain open as normal throughout the building work, we hope you will bear with us through the dust! All images in this post courtesy of Design by Kiosk.